I hope you all had a fantastic Christmas. Now that I’ve given all my gifts, I can finally start showing these off! I started making Christmas gifts back in November, so it’s been a long time for me to keep these secret! I also had Evie making presents, so I’ll show those off too! 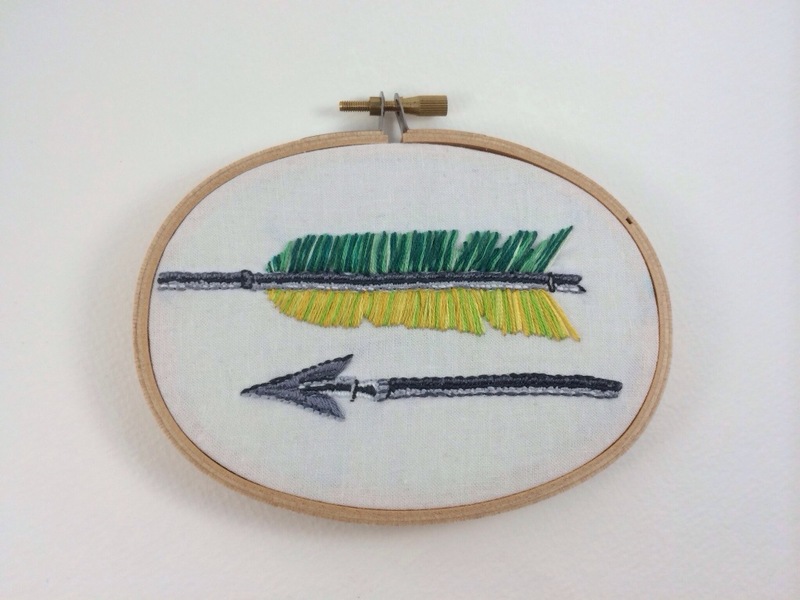 First up is this embroidered arrow I made. 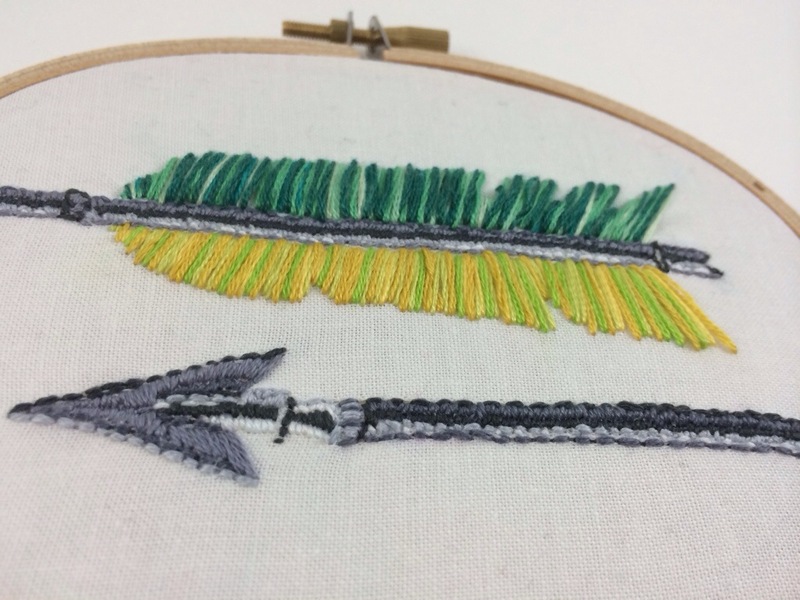 I haven’t done all that much embroidery, but I am really interested in doing more. This was for Josh’s aunt and uncle, his uncle has really gotten into archery over the past few years. 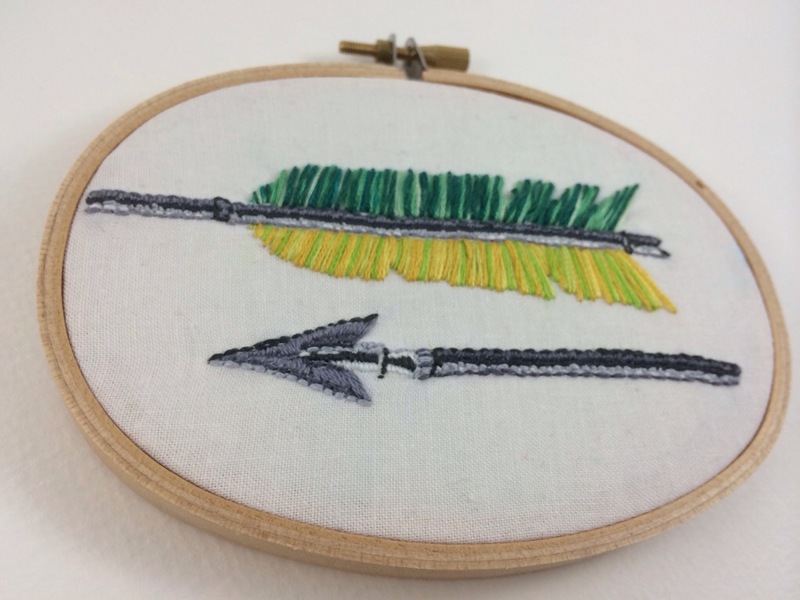 I love how the arrow turned out, especially the fletching. I used four colors for each section of feathers and I love the depth it has. This whole project was really experimental for me, I started off doing satin stitches and then filled in other colors for shading. The whole process felt very much like painting to me. My only regret was not using any sort of interfacing on the back. Due to the dense stitching I did, the fabric buckled a little, but once I got it stretched in the hoop it wasn’t too noticeable. I got these oval hoops online and I love them! I bought three of them, so I need to come up with something cool to do with the others. They are great quality and a cute size. how pretty is this! do more different colored feathers in the other hoops!!!!! It would be fun to have a wall of colorful arrows! Saw this on flickr, love it!